The Seoul option is usually considered the base level option in Silentnight’s Select range of mattresses which are code named after various cities from around the globe. 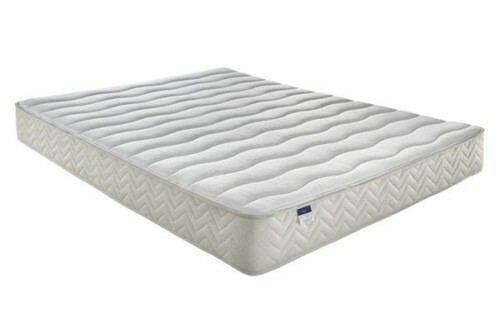 Advertised on some sites as the Silentnight Seoul Memory Miracoil Mattress, this product is one of the best selling options from Silentnight due to its compromise of price and quality while delivering some top features found in high-end beds. Seoul is derived from a Miracoil 3 core with a layer of memory foam applied to the surface for added comfort and support. Miracoil springs are exclusive to Silentnight and although somewhat similar to open coil, work in a different way and offer superior weight distribution. This is rated as medium firm support by many online retailers as the Miracoil 3 springs target the 3 key areas of the body to provide optimum, edge to edge support. With cheaper memory foam mattresses, overheating as you sleep can be an issue but thanks to Silentnight’s exclusive EcoComfort Fibres, you’ll stay cooler in bed. The memory foam is only on one side so you can’t turn this mattress but it can benefit from regular rotation. Available in all four major sizes as well as a divan combination buying option, the Silentnight Seoul Mattress is currently offered with free next day delivery although stock levels are running low for this option. You’re covered by Silentnight’s 1 year warranty with your purchase making this a great value and cheap mattress. 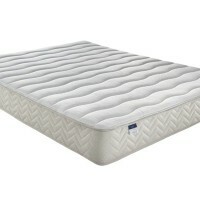 Type: Hypoallergenic, Medium Firm, Memory Foam, Miracoil. Be the first to review “Silentnight Seoul Memory Miracoil Mattress Reviews ” Click here to cancel reply.